The life of a little girl named Una turns upside down when her grandfather is abducted by aliens. 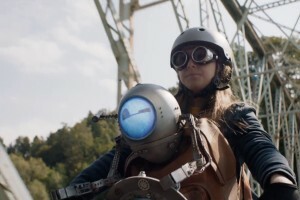 In the basement of her house she accidentally finds out that grandpa is himself an alien whose ship fell on the Earth a long time ago. His pilot, a grumpy little robot, stayed here as well. The two of them have less than 24 hours to find grandpa and save him. 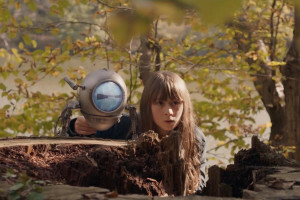 The Croatian sci-fi for children uses cutting-edge techniques and special effects so far unprecedented in Croatian cinema. This extraordinary adventure is based on Irena Krčelić’s story Moj dida je vanzemaljac and features a heart-warming tale of friendship, love and honesty. Marina Andree Škop and Dražen Žarković are a multi award-winning creative duo. Marina Andree Škop, together with her co-worker Darija Kulenović Gudan, established the Studio dim production company in 2001, through which they develop, produce and co-produce fiction and documentary films, TV serials and transmedia projects (Aleksi, Cover Page, Night Boats etc.). Her feature documentary debut Sevdah won the Audience Award at the 2009 Sarajevo Film Festival. Dražen Žarković directed three features, Go, Yellow!, Tressette and The Mysterious Boy (from the Koko serial), as well as many documentary films. One of the directors of the sitcoms Bitange i princeze, Odmori se, zaslužio si and Stipe u gostima. His film and TV work earned him a series of honours, including four Oktavijan Awards. His most successful film Tressette, was screened at a number of festivals and won seven international awards.